JAMESTOWN – The final two home games in Jamestown Jammers history will be taking place Labor Day weekend at Diethrick Park. 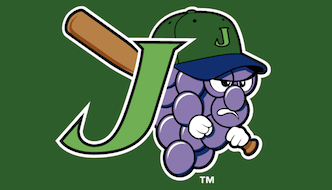 The Jammers – who announced earlier this week that they would be playing in Morgantown, WV in 2015 – will take on the Mahoning Valley Scrappers in a two-game home stand. The first game is 4 p.m. on Sunday with the second game taking place at 7 p.m. on Labor Day. Meanwhile, as the city prepares to say good bye to its current professional baseball team, mayor Sam Teresi says that city officials and community leaders are already in the process of trying to find another team to play in Jamestown for the 2015 season and beyond. Teresi says that Diethrick Park has met all the specs and requirements for high-end, professional baseball and as a result, he’s confident another team – even if not one that plays in the NY-Penn League – will eventually be brought into Jamestown.